Eye Lighting’s Mini Fontana is a range of multi-functional floodlights that are lightweight and have good heat dissipation qualities. Depending on the application, the Mini Fontana range offers two series – the Mini Fontana Ruggedised and the Mini Fontana. Manufactured from quality materials for durability and corrosion resistance, each product features a pre-treated and powder coated cast aluminium body. The Mini Fontana Ruggedised is ideal for general mining and heavy industrial applications in coal preparation plants, mineral processing plants, foundries, mills and power generation plants. This model is used to minimise the effect and intensity of vibration by combining a heavy duty lamp holder and gear tray. Lamp stability in mining and industrial environments is delivered by either supporting the lamp at both ends or by a rigid lamp holder bracket, depending on the wattage of the lamp. 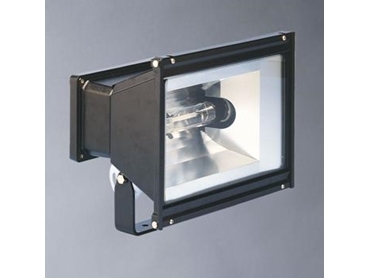 The Mini Fontana is suitable for lighting in general industrial and commercial applications such as storage yards, loading docks and security areas. The Mini Fontana provides medium to wide beam distributions and includes a reflector constructed from pure, polished aluminium. The lens is made of impact resistant glass and hinged to the body of the fitting for easy maintenance. Featuring an IP66 rating for protection against moisture and dust ingress, the Mini Fontana is also equipped with an effective mounting to lock the fitting in place to make certain the aiming angle is maintained.